One of the fundamentals of the Christian faith is that the word of God must be rightly divided to be properly understood. This means understanding each passage so that it reconciles with the immediate context (line upon line) as well as the over-all biblical context (precept upon precept). Only when the meaning of a passage is reconciled to both considerations is it rightly divided. Apart from a right division, the bible's statements regarding the various facets of a number of biblical topics would be flatly contradictory. Right division resolves the "contradictions" that arise out of plain meaningism and establishes God's people in the bedrock truths of the Christian faith. red herring (n) - the invoking of "Calvinism" in any theological discourse. NeoCalvinism is the increasingly popular form of evangelical irrationalism that embraces both God’s sovereignty and man’s responsibility in the matter of eternal salvation. Stated another way, this system simultaneously embraces both particular redemption and the well-meant offer of salvation to all of humanity (WMO). Since these two precepts are so evidently contradictory, NeoCalvinism attempts to reconcile the two by positing that God has two types of love – love for the sheep and love for everyone else. Rather than reconciling the two, two loves theology ends up undermining the WMO. We have recently posted an article dealing with the irrationalism upon which MacArthur’s Two Loves of God theology is founded. In the following video, we find John Piper grappling with the same issue. Our analysis seeks to draw out the irrationalism in this system by highlighting the ramifications of these statements on particular redemption and the WMO. 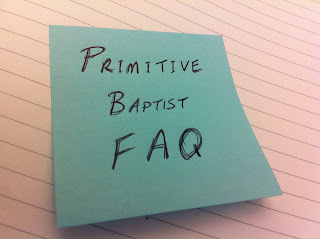 Primitive Baptists are often asked how they differ from other Baptist groups. While there are many doctrinal issues on which we agree with our ABA brethren, this brief post endeavors to demonstrate our doctrinal differences with the American Baptist Association (ABA) by focusing attention on the aspects of their doctrinal statement we believe to be at great variance with the teaching of the scriptures. 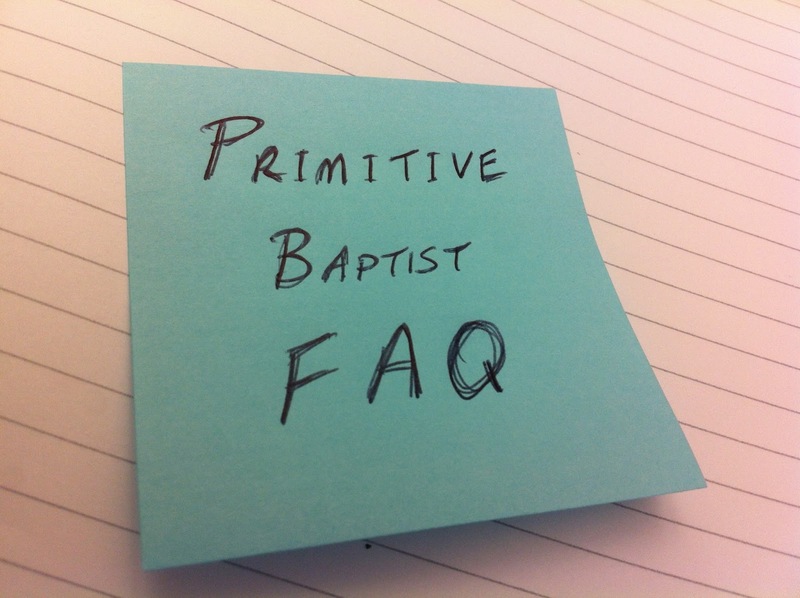 Primitive Baptists are often asked how they differ from other Baptist groups. 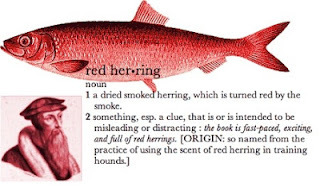 While there are many doctrinal issues on which we agree with our brethren in the Southern Baptist Convention (SBC), this brief post endeavors to demonstrate our doctrinal differences with the SBC by focusing attention on the aspects of their doctrinal statement we believe to be at great variance with the teaching of the scriptures. The following FAQ is a work in progress. Currently it combines the FAQ written by Elder David Pyles (available at www.pb.org) with one written by Elder Lasserre Bradley, Jr. (available at www.marchtozion.com). It is my intent to augment this FAQ in the near future with additional content from PB Elders as time permits and hopefully to arrange it into categories such as: The Scritpures, Salvation, The Gospel, Church Practice, etc. I hope to make those changes here in the coming days as time permits.